Meeting customer expectations can help you retain clients, even with growing competition. Your customers are worth keeping. Study after study shows the importance of customer retention. While the cost to acquire a new customer versus retaining an existing one varies, one thing is universal: It’s far less expensive to keep the customers you already have. Additionally, MSPs generally agree that when it comes to revenue, the Pareto Principle usually applies: 20 percent of your customers represent 80 percent of your revenue. Most businesses don’t want to — nor can afford to — lose customers from that 20 percent. MSPs face challenges on all fronts when working to build long-term business relationships with their clients. It may seem that customers are increasingly demanding, while competition is getting tougher and arising from new places. MSPs need to differentiate themselves from their competitors and build customer loyalty, and one way to accomplish this is by providing exceptional customer service. Interestingly, however, Jay Baer, author of Hug Your Haters, says companies often overestimate how well they are at delivering customer service. Baer says 80 percent of businesses rate their customer service as exceptional, but only 8 percent of their customers agree. 1. Customer Expectations: Disappointment occurs when expectations aren’t met. The foundation of a great partnership and, ultimately, the perception of great customer service, is setting ground rules. MSPs have the ability to define “great customer service” for each client through a managed services agreement. This agreement should include specifics such as delineating exactly what you are responsible for, the level of availability/uptime you guarantee, and timeframes for response and resolution. Explain to new clients that your agreement defines the exceptional service you will provide — then, most importantly, make sure you deliver. 2. Communication: Many of the services an MSP provides aren’t readily visible. If you use remote monitoring and management (RMM), it may be even less obvious to your clients what you’re doing for them every day. Make sure you are updating your customers regularly about everything you are doing, either noticeably or behind the scenes, to keep their systems up and running. Find a way to provide monthly or quarterly reports that show what your company has accomplished and the problems you prevented, making the ROI of the services you are providing a matter of record. 3. 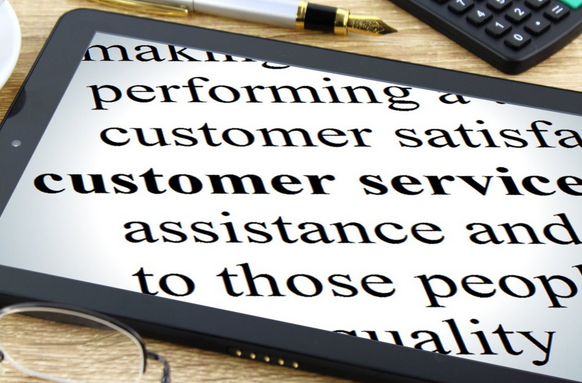 Customer Service Training: You may have the most skilled service techs on earth, but your customers will not be satisfied with their work if techs are not dedicated to providing exceptional customer service. Service technicians should always be respectful, courteous and prompt when on site. They should also be well-versed in the client’s system, careful to minimize disruption and never patronizing. Your company’s vision and mission statement should include the unique brand of service you provide, and you need to train your team and provide them with the proper tools to deliver this level of service. 4. Address Complaints: As difficult as it is to hear customer complaints, addressing them can help build your reputation for providing exceptional customer service. Ignoring a complaint can escalate a conflict by giving customers the idea that their problems don’t matter to you. Calmly addressing complaints, however, by making a change in the way you are providing services or offering a make-good for a mistake, lets customers know you hear them and you value their business enough to fix the problem. If you ever wonder if the customer service you are providing meets or exceeds your clients’ expectations, ask them. The feedback you receive can help you refine your processes and procedures and make your company run better. Ultimately, you will know you are providing the right caliber of customer service if your clients continue to choose you as their MSP over your competitors. Michael Mowder is the Senior Director of Partner Success and Services for Intronis MSP Solutions by Barracuda, a provider of security and data protection solutions for managed services providers, where he is responsible for the partner journey from on-boarding, to implementation, through professional services and finally, renewal. This was a great read. Quality service is what any firm would look for when hiring msp staffing solutions and it goes a long way in building a strong relationship with the company. Thank you for the post. I like to tell people that we are a customer service company that does IT Support. That really helps them understand how much we value their satisfaction as a company. Great article. Great article. It reminded me of that good old American proverb.